In 2011, strategist and consultant Brian O’Connor found himself troubled by the fact that progress in health and social care around the world was being inhibited and decelerated by a lack of communication and an inability to share knowledge within the sector. As a direct response to these perceived obstacles to advancement, he founded the European Connected Health Alliance (ECHAlliance), a not-for-profit organisation facilitating multi-stakeholder connections around the globe and driving sustainable change in health and social care. More than a network, the ECHAlliance can now be considered a force for positive change. Since its inception seven years ago, the European Connected Health Alliance (ECHAlliance), chaired by mastermind Brian O’Connor, has developed into a thriving community of over 16,500 members and more than 600-member organisations based in around 40 countries across Europe and including the United States, Canada and China. By gathering governments, policymakers, health and social care professionals and providers, private and public companies, educational institutions, patients and citizens into a worldwide network, the ECHAlliance ensures that news, reports, market insights, new technology trends, research and business opportunities are disseminated quickly and effectively to members. In this interview with Research Features, Brian speaks about being a catalyst for change, actively working towards maintainable solutions and being an influencer in the health and social care sector, a field that has the potential to improve the everyday lives of real people, across the globe. Hi Brian! Can you tell us about the European Connected Health Alliance (ECHAlliance) in terms of its history, mission and core principles? The ECHAlliance started out as a reaction to a sense of frustration. I saw so many needs and so many solutions in the field of health and social care, and I could not understand why these problems had not been solved. I did some research and discovered that the most basic reason for slow progress in the delivery of health and social care was people across the world not knowing each other. There was a real lack of knowledge about solutions, even when they existed locally and sometimes even in the same department or institution. The need for human connectivity was obvious, but it is not easy to create a network which actually does something as opposed to just talks about the problems, but I decided to do something, and the ECHAlliance was founded. The most basic reason for slow progress in the delivery of health and social care was people across the world not knowing each other. What do your role and responsibilities as Chair of the ECHAlliance consist of? I count myself as very fortunate; my job is fun and rewarding. My role is to be impatient, never to be satisfied with progress and to always be looking for more, faster. To achieve that I need a team of like-minded entrepreneurs, supported by an intelligent delivery team. We have that now and the board of influential leaders is a great combination. I lead from the front and am constantly monitoring what is happening not only in Europe but in the United States, Canada and China. I often hear people say ‘there is so much happening, it is hard to keep up’, and I agree. It is why we try to provide an intelligence service to our members, to help them have access to relevant information rather than the dross. What is the Digital Health Society (DHS) and what is the significance of the DHS Declaration? This is an initiative which was created during the recent Estonian European Union Presidency and which has been continued by us and the task forces we have set up. The DHS fills a vacuum; there are so many initiatives that it is difficult to select those best to participate in. The DHS is there to support the European Commission Digital Single Market and its recent review. It is also there to connect the many initiatives which often come to an end when the money runs out and tries to ensure the learning from those worthwhile activities is not lost. The DHS is tackling big topics in a practical way; the four task forces are interoperability and standards, citizen data, legal and General Data Protection Regulation and digital transformation. I should stress that the task forces are dedicated to real work and solutions; all have had enough of listening to ‘problems’ and are determined to create real resolutions. Eric Gerritsen, Secretary-General of the Ministry of Health, The Netherlands, summed this feeling up when he said ‘We are a Coalition of the Willing but we are a Coalition of the Doers’. That attitude of being practical runs through everything we do in the DHS. 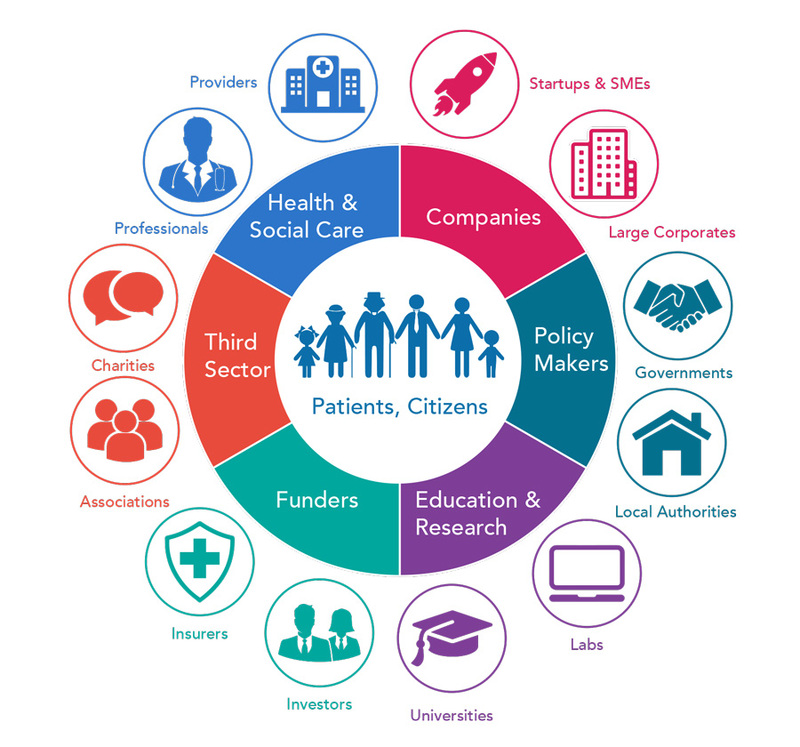 The ECHAlliance Ecosystems bring together key stakeholders across specific geographic regions, and facilitate engagement between all relevant sectors necessary for making change happen in connected health – can you explain the benefits and impact of these Ecosystems? To connect people and organisations, and above all sustain that, requires a permanent network of Ecosystems and we describe these as ‘Permanent, Multi-Stakeholder Communities within a Defined Geographic Area’. The stakeholders within the Ecosystems are academia, industry, government, payers, providers, patient groups, economic development agencies, health insurance companies and venture capital and private equity etc. It is rewarding to see people getting to know each other and meet regularly to tackle real needs and find solutions. It is noticeable that real business gets done as people talk and listen to each other. In many places, the Ecosystems have become an essential tool to make progress. People do business with people, therefore, we provide the human platform to begin relationships, to build trust and then business follows. We will hold over 100 Ecosystems meetings across Europe in 2018. The ECHAlliance holds many meetings and conferences – can you explain the significance of the Digital Health and Wellness Summit and what this entails? This particular event enables the start-up community in Europe and beyond to meet with would-be investors and customers, it has grown in popularity and we are full every year now. 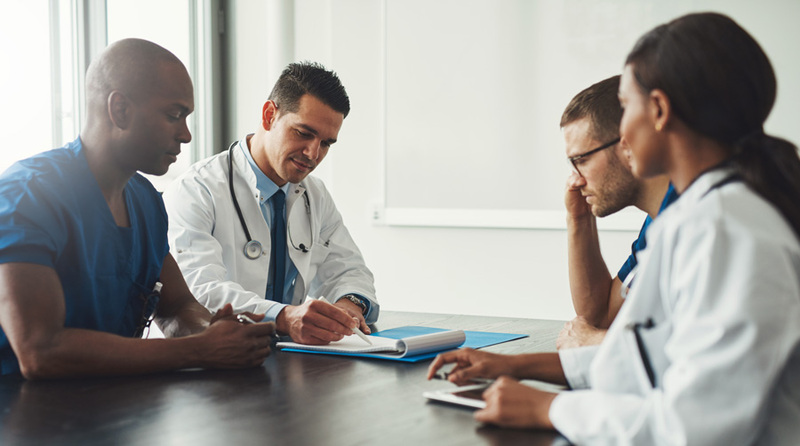 The ECHAlliance has referenced key experts in each domain, and has designed a specific methodology and set of tools and services called MAP, in order to support digital health projects – can you explain what MAP offers as a consulting service? We offer these services to more and more clients; they recognise that with a large and well-organised network we have created an ‘intelligence network’. Companies, governments and others are interested in up-to-date intelligence, not facts that are one or two years old; we can and do provide that. MAP is also a source of revenue, and surplus from this activity stays within the ECHAlliance to support our growing team. People do business with people, therefore, we provide the human platform to begin relationships, to build trust and then business. In your time as Chair of ECHAlliance, are there any achievements that you are particularly proud of? I am proud first of all that we have survived in a competitive world as not-for-profit – that is not easy. I am proud we have built a brand which is respected and are seen as an organisation which delivers on its promises. I am also proud to have helped build a network of ‘doers’; we have much more to do of course, but so far, so good. Brian O’Connor, Chair of ECHAlliance. What makes the ECHAlliance unique and different from other health alliances? I should say we work very closely with other alliances, whether it is on European projects, the DHS etc. Our membership represents a broad cross-section of academia, industry (from start-ups to global players), policymakers, payers and providers, patient groups and more. I do not believe any one organisation has all the answers on their own, so collaboration is key. From the beginning, we knew we had to break down the barriers and destroy the many silos which hold back progress. What does the future hold for the alliance and what are your proposed goals for 2018? We have started 2018 with the expansion of our Ecosystem Network in Europe and we expect significant expansion this year. We have recently expanded our team to cope with growth in all aspects of our business. We are also continuing to support our sister alliances in Canada, China and the United States; you will see much more of their activities this year. Many of our members are taking advantage of this international network already, and more are joining us. We have a lot to do, but now that we have additional resources we are confident that we can hit our targets. For more information on the ECHAlliance’s work and how to become a member, please visit their website at https://echalliance.com/.